I have to admit, I can eat more than one of these delicious burgers without even blinking. There’s something about the sautéed onions and American cheese that just screams greatness! Simple, cheesy, dripping, messy. Just what a hamburger should be! These onion burgers remind me a bit of the old diner-style burgers I used to get as a child, except that then the onions were sliced, and cooked quickly on a flat-top griddle. Incredibly good, and dripping with flavor. Instead, these are caramelized, bringing an almost sweetness to the burgers. Looking for a little different way to make these? Check out my other version of onion burgers! Heat oil in a medium saucepan over medium-high heat. Add the onions and half of the salt and pepper. Saute until the onions are soft and lightly brown, 10-15 minutes. Stir in the Worcestershire sauce a hot sauce, to taste. Cover and remove from heat. Form 4 burger patties and season with remaining salt and pepper. Top each burger with 1 slice of cheese and a good amount of onion. Add another piece of cheese and the remaining onion. Serve. 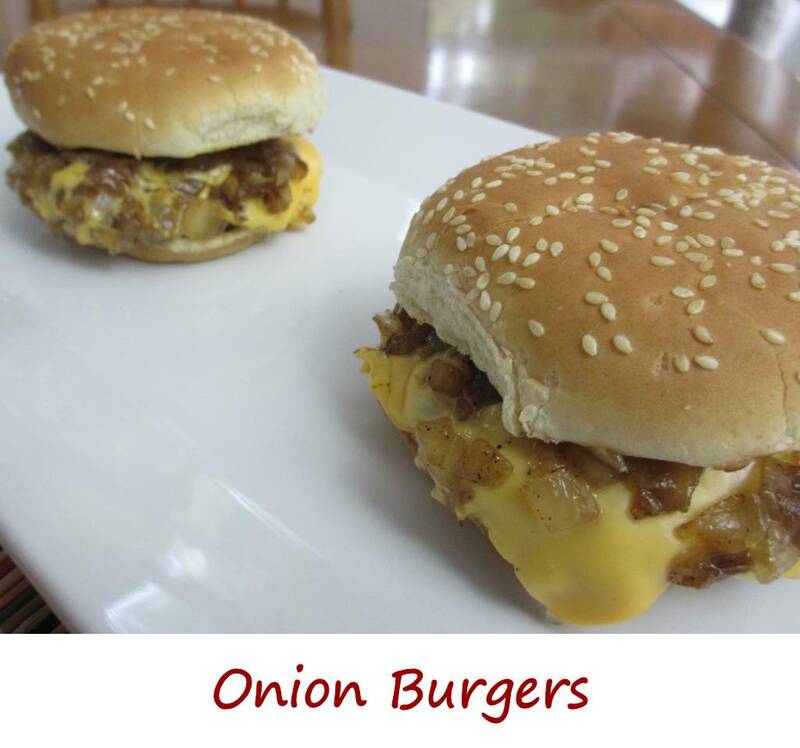 This entry was posted in From the Grill & Smoker, Main Dishes and tagged hamburgers, onion, Onion Burgers, recipe by Mike. Bookmark the permalink.